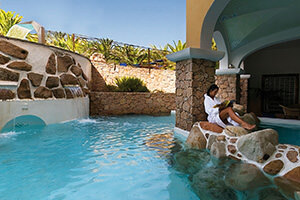 A holiday is also about nature: Sardinia allows you to discover its real character. Breathtaking scenery between land and sea and the scents and colours of the Mediterranean vegetation will all make your holiday in Sardinia unique and very special. Spending holidays in Sardinia also means appreciating the generosity of Mother Nature and you can experience this to the full in Delphina hotels and resorts. Scenic walks and trekking routes through the hotel parks, excursions into the heart of Gallura or boat trips to the islands of the La Maddalena Archipelago will all leave you with unforgettable experiences. 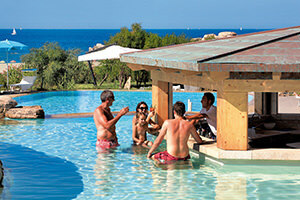 Holidays in Sardinia? Nature holidays! The surprising and unusual nature found in the North of Sardinia, from Badesi to the Costa Smeralda, has convinced Delphina to establish an ever more in-depth relationship with it based on friendship and respect. Authentic Nature, to be experienced every day as soon as you wake up. This is why, in every Delphina hotel and resort, the word holiday also means breathing the intense fragrances of the Mediterranean vegetation, looking at the indigenous plants and immersing yourself in the island’s still unspoilt nature. The coastal paths provide breathtaking panoramas, from rocky pink granite cliffs and little bays of fine white sand to semi-deserted beaches where you can go for long walks at sunset. 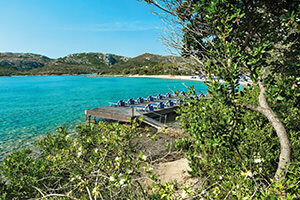 Or you can relax on comfortable sun loungers for hours of “sunbathing” on wooden solariums set among the rocks or in romantic little coves close to the water. 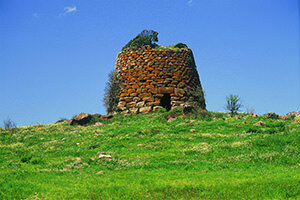 For the more energetic, the Nature found in the North of Sardinia forms the perfect backdrop for keeping in shape: nature walks and fitness circuits with fully equipped exercise areas where you can train in complete freedom, or there are delightful trekking routes for adults and children where you can lose yourself in the fragrances and colours of the Mediterranean macchia. If you are one of those people for whom holidays also mean discovering the local area, put yourself in the hands of the staff at the Delphina excursion offices: expert local guides will be more than happy to help you discover the best of our land. Discover all the excursions by sea and on land dedicated exclusively to Delphina guests, with departures directly from the hotels and resorts. With our boat trips you will be able to see just how many different shades of blue the Northern Sardinia sea has to offer. 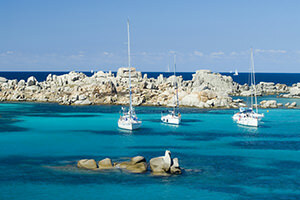 The routes followed by the Delphina Express, the fast motorboats or the vintage sailing boat Pulcinella mean you will also be able to discover the unspoilt islands of the La Maddalena Archipelago and the South of Corsica. For an even more exclusive experience, there are prestigious pleasure boats with expert skippers who will take you to enjoy real corners of paradise in complete relaxation. Among the most beautiful sights to be seen in the North of Sardinia you should definitely not miss the treasures found in the inland areas, such as ancient nuraghe, little villages and country chapels and great stretches of cork and holm oak woods among the massive granite boulders with their unusual and often bizarre shapes. The nature found in Sardinia, dense and luxuriant but extremely delicate and fragile at the same time, has always been a source of inspiration for Delphina hotels & resorts. A project consisting of small daily gestures and forward-looking responsible choices aimed at safeguarding and protecting the natural habitat. Choose Delphina and get ready to enjoy a genuine experience that supports the environment and enriches the culture of the Gallura area. Be green together with us. Discover the We are Green protocol.